I know that using -t we can specify the file system but what is the terminology for a RAW (dd) file, which can be passed as an argument to the mount command. If my method to mount this file system is wrong please help me out in doing the same. In a typical hard disk, the cells holding the data are grouped. The groupings are called sectors. The way we usually partition things, the first few sectors are kept aside for giving information about the partitions, leaving a gap. So if we have an image of an entire disk, these sectors also get included. Now, the mount command cannot directly start at the first byte, as the partition doesn't start at the first byte. So, we will have to tell mount how many bytes to skip (so that it can avoid the extra information)and get to the actual partition. This is called the offset. Now each sector can store a certain amount of information in bytes, which is called the size of a sector. We take the total size of information that can be stored in this gap by multiplying the size of a sector, with the size of the gap in number of sectors. I added the filesystem type since fdisk gave it as FAT32. To mount it for writing as well, use -o offset=512,rw instead. 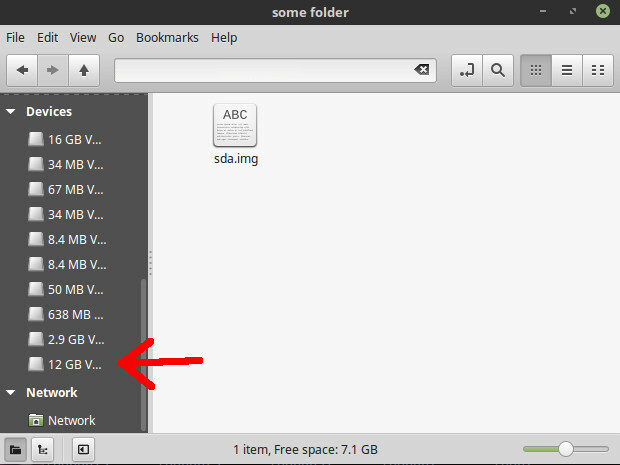 You can also have the computer automatically scan all the partitions in a dump and automatically prepare all loop devices, as described here. Can't add a comment because of lack of reputation, but want to tell to those of you who have GPT disk when testing it with fdisk, use gdsik instead to get start sector and count proper offset. It helped me. Not the answer you're looking for? Browse other questions tagged command-line mount filesystem file-format disk-image or ask your own question. How to mount a partition?